- Helps fight signs of aging. - Visibly improves signs of photodamage. - Helps reduce the appearance of puffiness and under-eye bags. - Combats signs of fatigue to restore a fresh, vibrant appearance. Use: In the morning, apply 1/2 pump per eye area. Apply on the area below the eyes, on the outer corners, and on the brow bone. Do not apply product to the inner corners near the nasolacrimal duct (tear duct), below the brow bone, or on the upper lid. 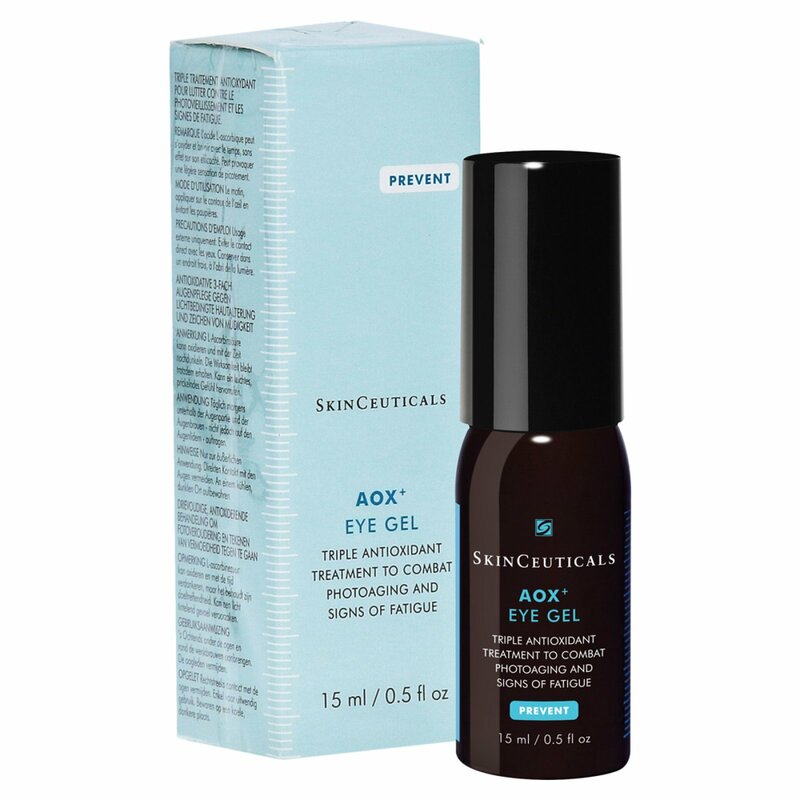 Buy AOX + EYE gel from SkinCeuticals online.